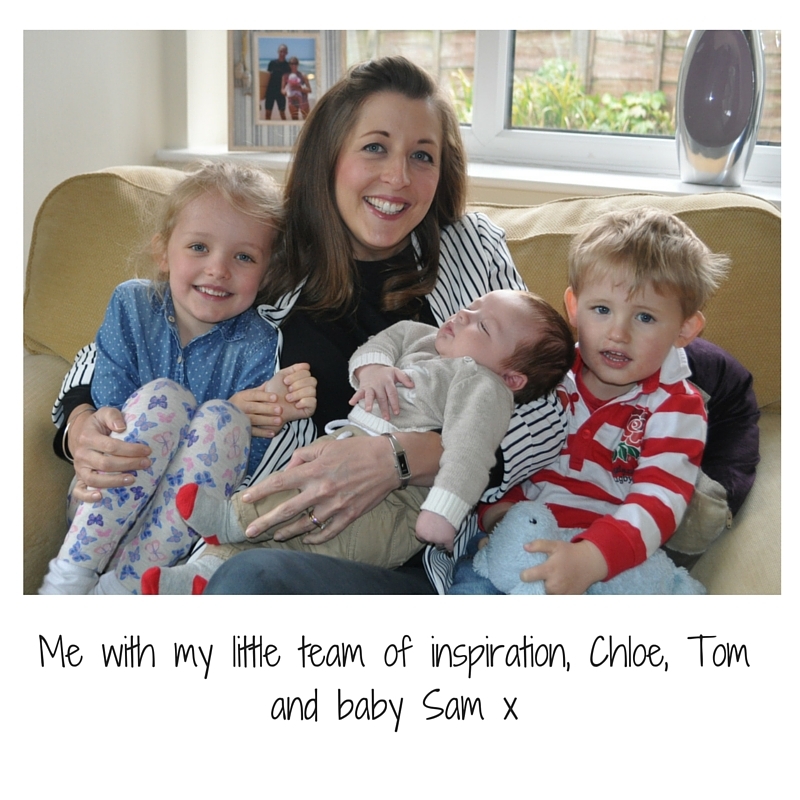 For the second in my ‘Meet the #WorkingMumsClub’ series, I was delighted to have a little chat with mumpreneur Jen, who juggles three children along with running her own business. 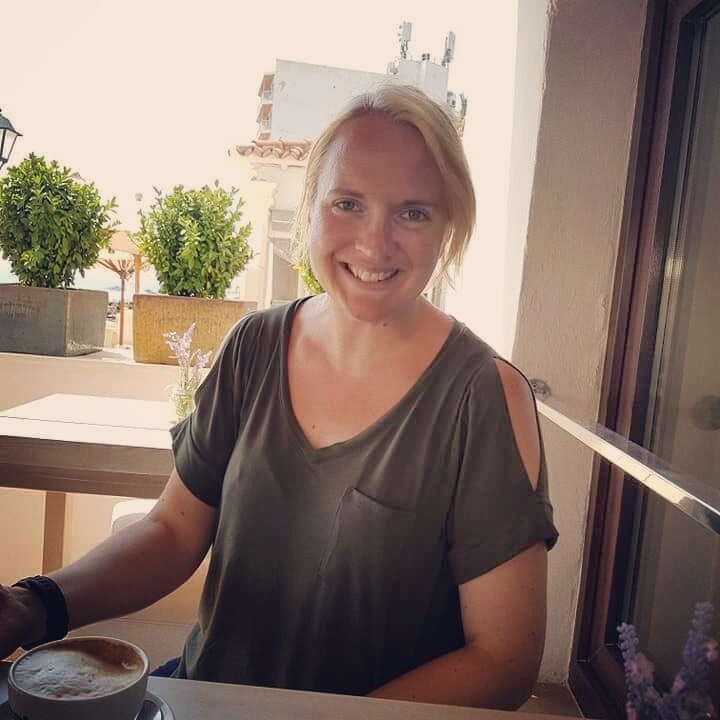 Jen came up with the idea for Tidy Tot, a clever bit of kit which makes baby and toddler mealtimes a lot less messy, and now works to grow the company around the needs of her family. So how does she manage it? I’m clearly bonkers (and permanently sleep deprived) as I now have 3 children. Chloe aged 5, Tom who has just turned 2, and baby Sam who is 9 weeks old. I juggle managing my own business with the school run and finding reliable childcare, so am really lucky to live nearby to both sets of parents. My eldest is now at school (and how short is the school day?! ), I have Tom 2 days a week and the other 3 days for him are split between both sets of grandparents and nursery. I have baby Sam at home with me every day for now, and mostly it works quite well. What does running your own business entail? 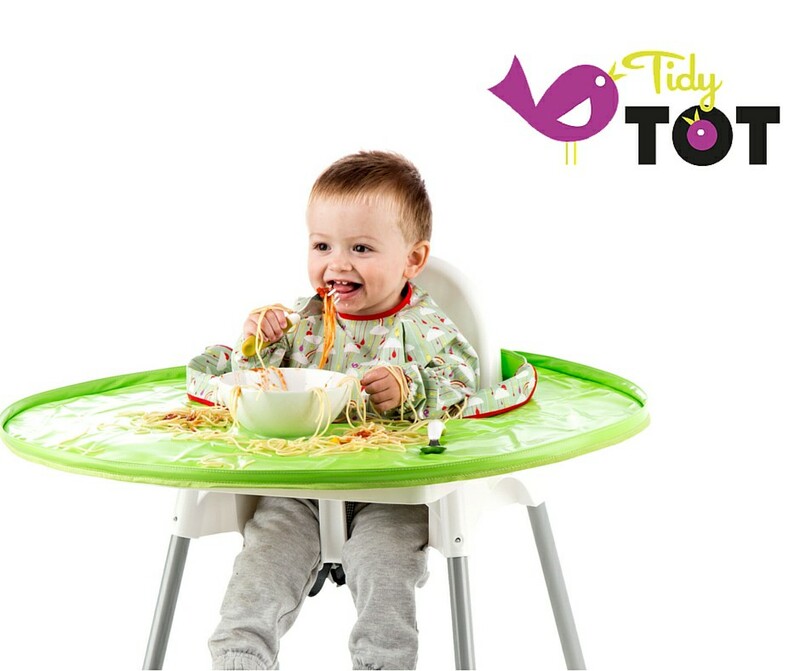 After inventing the Tidy Tot Bib and Tray Kit whilst on maternity leave with my eldest 4 years ago, I now work, live and breathe it; selling from tidytot.co.uk, to the high-street retailers and also now looking to export into Europe and Australia. Managing my own business with 3 young children is really not easy! I tend to work around the children during the day, but at the moment it really only amounts to an hour here and there. I do most of my work during the evening and over the weekend. I am also parent governor at my daughter’s school, so juggle those commitments around after school clubs and everything else we have on! How do you manage your daily routine? It’s taken me a good 12 months to instil some discipline and routine into my working day. Managing the business is all consuming – it’s the first thing I think of when I wake up and the last thing I think of at night. In the early days I found myself checking and responding to emails at all times of day and night. Not only did this not really work for me, it was also incredibly stressful, especially on the days I had the children with me. Now I try to limit ‘work’ time during the day to during my toddler’s lunchtime nap, or around the baby on the days it’s just me and him. When I’m not working, I’m trying to keep on top of the housework, constant washing and playing with Tom and Sam whilst Chloe is at school. It’s then after-school clubs for her, and I finally start work once the kids are in bed! I tend to work until around 10pm at night, so there is very little time for relaxing, or even chatting to my husband during the week. I try to leave Friday and Saturday nights work free, when I catch up with my husband, friends, or even just the TV! It’s hugely important to me to set a good work ethic to my children. I constantly tell myself that if something is worth having it’s worth working hard for, and I’m extremely proud of the fact that my 5 year old often says to both me and herself, “Mummy, we never give up”. Working for myself has its benefits, in that I can work flexibly around the needs of my family, but it also has its downsides. I never really switch off, it can be quite lonely and I don’t have the benefit of being able to treat myself to a new work wardrobe! How did your recent pregnancy and having a new baby affect your work? I worked right up to the last moment with my last pregnancy – literally! I was processing orders through my early contractions, determined to fulfil customer orders for the next day! I’ve not really had the luxury of maternity leave this time around either, and I was checking and responding to emails a couple of days after giving birth! Does your partner do their fair share around the house to help you out? My husband is quite literally amazing, and I honestly wouldn’t have got this far with the business without him. He does his fair share of household chores (albeit I have to point out what needs doing, but you can’t have everything! ), we take turns on the night feeds and dirty nappies. He’s a fantastic dad and his support has meant I am able to hand the kids over as he walks through the door to start ‘work!’, glass of wine in hand most days! 1. Don’t put too much pressure on yourself to be the perfect employee, mum and partner. Doing your best really is more than good enough, and if the housework doesn’t get done every week, don’t sweat it (no-one else will even notice – guaranteed!). 2. Batch cook! Those made-up meals are a godsend on the days you’re running late home or just want to spend an extra half hour enjoying your kids (or a well earned sit down and a cup of tea!). 3. Do as much as you can the night before. Mornings are mayhem in our house, trying to get everyone ready for school, work and nursery. I try to get as much done before I go to bed to make mornings that little bit easier. Setting the table for breakfast, getting the kids’ clothes out and the bags packed the night before makes a huge difference to my stress levels in the morning! Mum guilt – does it ever stop? Of course, but probably no more than I’ve felt guilty about anything else if I’m honest. I think it’s hugely important for my children to recognise that you don’t get something for nothing, and if they want a nice house and days out, someone has to work very hard to be able to pay for those things! Having a daughter, I find I’m even more passionate about setting her the example that you can do whatever you set your mind to if you work hard enough. For me, I certainly felt that returning to work part-time after having my baby disadvantaged my career, which I don’t think would have been the case if I had gone back full time. After having my first child, I returned to work 4 days a week in a senior management role. The nature and demands of my job meant that I inevitably crammed 5 days’ work into 4, and was never offline even on my non-working day. My employers got a full time role out of me for 4 days’ pay, but I think overlooked me for other opportunities based on my ‘4 day’ working week. I LOVE my job, and whilst it’s been the hardest thing I’ve ever done, it’s hugely rewarding. One of the best pieces of customer feedback I’ve had was “Wow! You can tell THAT’s been designed by a mum!” After struggling with weaning and messy mealtimes with my own children before Tidy Tot came along, it gives me so much pleasure to know that my product is making mealtimes easier and less stressful for other parents. Mummy guilt, and trying to split yourself into pieces to make sure everyone has enough of you when they need it! The rest of it. Yes it’s tough, but I adore being a mum and it’s the little things that give me the most pleasure. Hearing my kids play together, seeing them reach those first milestones and just chatting together on a car journey or walk make it all worthwhile.